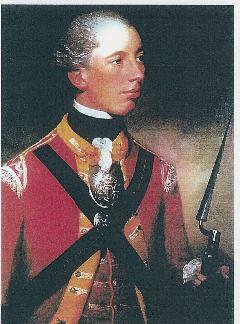 The regiment, now back up to full strength with lads recruited in Lincolnshire, was sent to Bengal, India in 1798. Napoleon had landed in Egypt with 35,000 men with the aim of going on to take India from British control. Although Nelson had destroyed the French fleet in the Battle of the Nile, it was obvious that to save India Napoleon's army would have to be defeated in Egypt. A force was sent from England to attack from the Mediterranean, whilst the 10th Foot and other regiments were sent from India to attack from the Red Sea. Because of the monsoon season, the troops sent from India were late in arriving and the decision was taken to cross the desert between the Red Sea and the Nile. In fierce heat, the men of the Tenth crossed the desert by foot. It took eight days. About 25 men dropped out through thirst and exhaustion and they were never seen again. received the distinction of bearing the sphinx on their Colours. Later, the cap badge of the regiment became the sphinx, with the word "Egypt" underneath. The Tenth Foot later fought Napoleon's army in Spain. 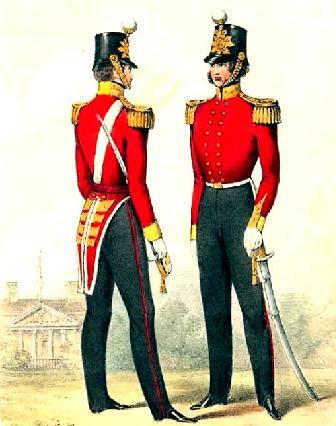 A second battalion was formed, not in Lincolnshire but at Malden in Essex in 1804, during the Napoleonic War. It took part in the disastrous campaign at Walcheren in 1809 when fever, not Napoleon, decimated the army in a matter of weeks. After service in Gibraltar, Sicily and Malta, the 2nd battalion was disbanded after Napoleon had been beaten at the Battle of Waterloo. Officers of the 10th Foot in 1843.